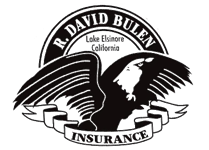 Your insurance agent can create a customized policy for you to include different types and amounts of coverage. What does a typical General Liability Insurance policy cover? Bodily Injury — physical harm to a person at your place of business, or an injury caused by your employee at a client’s site. Completed Operations/Products Liability — losses after your business has completed work for a customer (such as repairing appliances or installing plumbing), or from manufacturing and distributing products. Personal Injury — damage to the reputation or rights of a person or business due to slander, libel, copyright infringement, invasion of privacy, false arrest, wrongful eviction, etc. Advertising Injury — losses caused by your advertising (spoken or written); for example, an ad that trashes a competitor. Independent Contractors Liability Insurance — damage from the acts of an independent contractor hired by your business.